Does your child require a Behavior Intervention Plan? Or behavior / management strategies to promote positive behavior? Early bird discount applied only to those applications submitted with full payment. I would like to sponsor the Jewish education of another child for $1000. **Registration will not be not accepted without full payment or without a completed scholarship form or payment plan form. 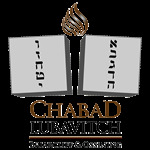 As the parent(s) or legal guardian of , I/we authorize any adult acting on behalf of Chabad of Briarcliff's Hebrew School to hospitalize or secure treatment for my child. I further agree to pay all charges for that care and/or treatment. It is understood that if time and circumstances reasonably permit, Chabad Hebrew School personnel will try, but are not required, to communicate with me prior to such treatment.